Unless decisions are made quickly, Jeep’s new JL Wrangler will launch in Australia late in 2018 without Autonomous Emergency Braking (AEB), almost certainly ensuring it won’t gain the maximum five stars from the independent crash test authority, ANCAP. Jeep touted more than 75 available active and passive safety and security features at the briefing, including blind-spot monitoring, rear cross-path detection, a reversing camera with dynamic gridline, electronic stability control with electronic roll mitigation and four airbags. But Wrangler chief engineer Brian Leys confirmed AEB, which is a proven life-saver, is not among them. However, he told Australian journalists at the LA briefing that investigations were underway to find out if it could be fitted to the JL. “We will investigate and continue to look at that going forward,” he said. “We are looking at it, so we will see based on the testing as it comes through and we will introduce things that are necessary. Leys refused to offer timing on how soon AEB could be added to the Wrangler if it got the green light. There are no sensors, radar or cameras fitted to the front of the Wrangler currently. Local Jeep distributor FCA Australia is understood to be pushing for AEB to be added to the Wrangler’s safety arsenal. “It’s an ongoing conversation at the moment with Australia,” said FCA APAC communications chief Lucy McLellan. While there are plenty of 4x4s and other vehicles sold without AEB in Australia, the problem facing Jeep with the Wrangler is that it becomes crucial for five stars in 2018 when ANCAP’s testing protocols are commonised with Euro NCAP. “From next year, it will be very difficult for a model to achieve a five-star ANCAP safety rating without effective safety assist systems such as AEB and lane support,” said ANCAP chief executive, James Goodwin. Having only front-side airbags and no curtain airbags also makes it more challenging for the Wrangler to achieve good pole test scores, thus putting its five star chances under further challenge. Missing five stars is now a major issue for any car manufacturer and is widely reported in motoring and general media. Jeep, which has had its share of varied publicity in recent years in Australia, would understandably be keen to avoid that sort of spotlight. ANCAP says AEB fitment results in a 38 per cent reduction in real-world rear-end crashes, while Victoria’s Transport Accident Commission says AEB can avoid 35 per cent of all rear-end crashes and mitigate damage in 53 per cent of rear-end collisions. The long-awaited and comprehensively leaked 2018 Jeep Wrangler was finally revealed in November, but it’ll be later this year before we see the latest generation of the iconic off-roader in Australian showrooms. When it lands, the 2018 JL Wrangler will have benefited from extensive testing in rugged central Australia, with international engineering heads John Adams and Bernie Trautmann basing themselves out of Alice Springs. Adams is the overlord of the Wrangler’s entire engineering program, and Trautmann is responsible for developing and fine-tuning the most important aspect of the package: its off-roading toughness and capability. The program, carried out through the middle of January, was put together with the goal of collecting final hot-weather data and performance results, both for right-hand-drive production and for our region in general. Australia’s part in the program follows testing carried out in overseas regions including Brazil, China, India and Russia. “Australia presents some incredibly unique driving environments so it was in our best interest to visit and understand if there were some new learnings that we could apply to the development of the new Wrangler – specifically for this market,” Adams says. “Explicitly, we were looking at the effect of Australia’s corrugated roads on long-range and high-speed drives which are common for much of the country’s population outside of the cities – and how our suspension tuning processes these inputs, combined with the extreme heat effects on our engine, transmission and cooling system management temperatures. Adams says the company is aware that, like others, our market demands a chassis and drivetrain tune suited to local conditions. He says it’s for that reason the program was launched; “to investigate if there’s anything we could be doing differently when it comes to delivering the Wrangler for Australia”. The Australian program comes on the back of what Jeep claims was 6.2 million combined kilometres of prototype testing, from Arizona’s 58-degrees-celsius heat to the negative-40-degree cold of Alaska. The legendary Rubicon Trail played its part, too. Of course. 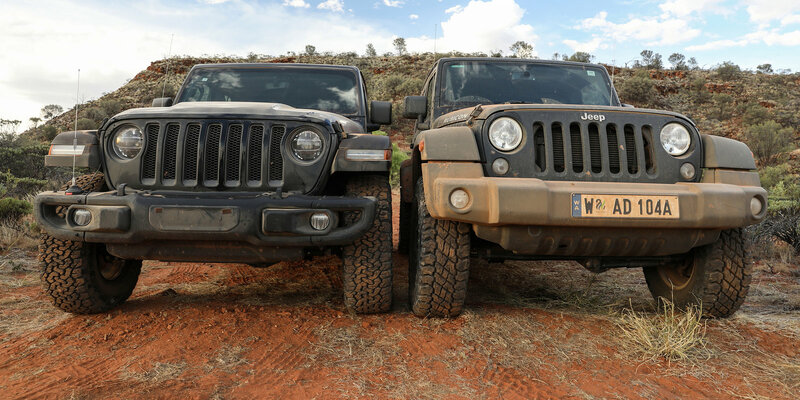 For its tour of the Australian outback – where the temperature was a mere 45 degrees, bring your jackets and beanie – Jeep freighted in two JL Wrangler engineering prototypes: a 201kW/400Nm four-cylinder petrol two-door Rubicon, and a 213kW/353Nm Pentastar V6 four-door Rubicon. The latter will be familiar to many, but the former is a new unit. Trautmann: One of the biggest challenges, it’s not only increasing the capability of the vehicle off road but also increasing the dynamic performance on road. One of the things we’ve done is we’ve increased the footprint of the vehicle. Increasing the footprint of the vehicle means still has to remain nimble and one of the biggest obstacles when you increase the wheelbase is ensuring the nimbleness and the turn circle of the car. One of the things we were able to do is, while increasing the footprint, increasing the interior spaciousness, we have a tighter turn circle so the vehicle has become more nimble on the trail. 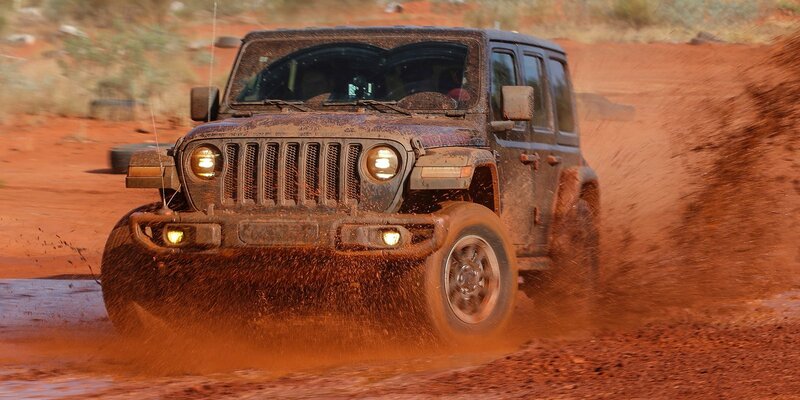 Tell us some of the ways you’ve set the Wrangler up for owners to modify their vehicle? So, with the footprint on the car, we’ve honoured the typical iconic live axles. The vehicle has the ability to receive a two-inch lift kit that we offer by MOPAR. We’ve also went ahead and increased the tyre envelope area so that you can package with the two-inch lift a 35-inch tyre without having to manipulate the suspension. That’s a really big thing for our customers because we know a lot of people like to modify the car, like to increase the ground clearance. Interior-wise, one of the things we’ve offered as well is the auxiliary buttons. There’s four buttons on the IT now that are fully integrated where the customer can further customise the vehicle. We know there’s a lot of addition these days with LED fog lamps, pull bar lamps, things of that nature. These can all be hardwired into the vehicle so you don’t have to add any auxiliary switches. 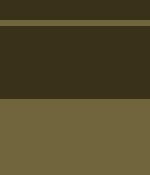 You have those already built in and that’s a really nice feature. I think there’s definitely opportunity for that. The data, of course, we’re empirical. Data speaks for itself. We’ll go back home. We’ll take a look at that data with our extended team. We kind of scrub through the file. We look at the different amplitudes and frequencies and what that means to our vehicle. Down the road, if that means further development work, potentially there’s opportunity to come back out here with a larger team, more equipment to do some further data collection. So we’ve always heard about the Outback and we’ve seen a lot of photos. Talking to people out here I think the Jeep is a natural footprint for this type of terrain. I think there’s a natural fit for our capabilities, the types of surfaces you guys drive on, not only the corrugation but the loose sand. We did a lot of rock climbing. I think the vehicle itself is a perfect fit for this type of environment. People we’ve met on the street and talked about it, there’s a lot of hype about Jeep. Last edited by Jimmyb; 07-03-2018 at 04:45 PM.